We work with you and your team if you have one. If not, we can provide a team for you. We can provide and manage the entire team for you if you do not have the resources onsite to handle the extra tasks associated with the project. If you have those resources on hand and are missing a few essential pieces, we can provide a subject matter expert (SME) to fill in your need. 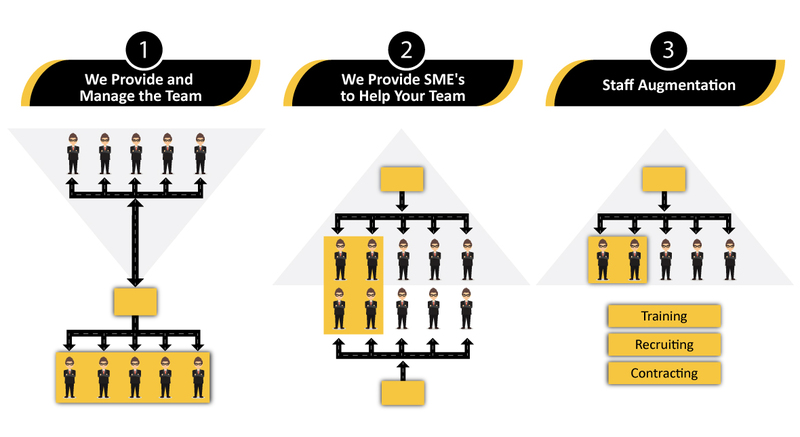 The SME is managed by your staff not ours. If you are in a sustaining mode or just need some extra development staff, we can provide Staff Augmentation resources where our employees work like regular employees for you until you either do not need the extra help or decide to hire full time folks to fill in the role.